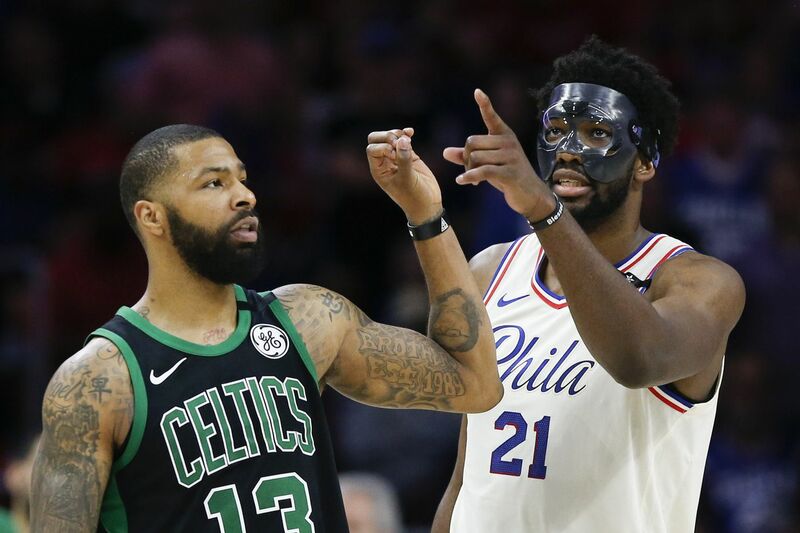 Sixers center Joel Embiid points his finger towards the score board while Boston Celtics forward Marcus Morris indicates a zero with his finger late in the fourth quarter during Game 4 of the Eastern Conference semifinals on Monday. The NBA is set to release a small portion of the 2018-19 schedule on Wednesday, but reports have leaked out revealing the league's plan to stoke the Sixers-Celtics rivalry. The first week of the schedule along with the holiday schedules will be released on Wednesday at 2 p.m.